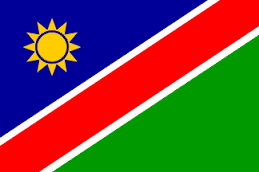 Namibia is a country in Southern Africa, with an estimated population of 2.1 million (2011). According to a survey in 2015, Namibia had 2.55 million phone subscribers which were more than its population. There were 2.4 million mobile cellular lines recorded in 2012. There were 280,288 users connected to the Internet, which is about 12.9% of the population (2012). Gambling is legal and regulated in Namibia. The government introduced its first gambling act in 1994 as “Casino and Gambling House Act”. It enabled casinos and gambling houses to offer various types of gambling under one roof. There are hundreds of gambling houses in Namibia. Licenses have been granted to accommodation establishments, liquor retailers, and bookmaking businesses. In 1996, the government imposed a 10-year ban on issuing gambling houses license as it made gambling more accessible to its people. Due to the ban, illegal gambling took a lot of momentum and the government is trying to eradicate ever since. Namibia has its own national lottery to generate revenue for government programme, community, charity etc. The Lotteries Board of Namibia was created under the Lotteries Act of 2002, but it was only in 2005 that the Namibian National Lottery was established. Winnings are usually tax-free. The top prize can go into tens of millions Namibian Dollars (Approx 780,488 USD). The government of Namibia does not permit any privately run lotteries. Online gambling is not regulated in Namibia, but there are some offshore online gambling sites that accept Namibians. None currently support Namibian Dollars.